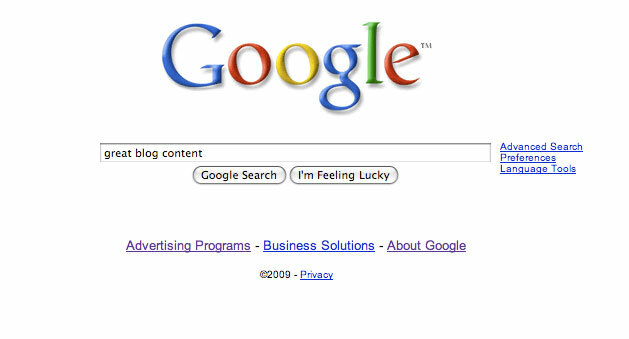 Poor Blog Content Hurting Your Search Engine Results? Discovering your content to be poor and unsatisfying? The popular method of getting search engines, specifically Google, to spider your website and rank your content highly is to produce quality content. A niche-fad that still exists is to get as many quality articles as possible published on your website. Companies and individuals pay thousands of dollars a month to get hundreds of little articles under specific keywords. But, we all know not all content is authored equally. Is your content performing as it should? Your blog or websites content needs to have specific keywords that match your business, niche or objective. If the keywords you utilize bring in the visitors but do not convert to sales or actions, there is definitely something wrong. Keywords are definitely important to your blog or websites content, however certain keywords might drive a user to sign up for your newsletter, subscribe to your RSS feed or purchase your newest e-book; other keywords might have visitors surfing over and simply closing the window. Use your discretion, if you find users visiting your site and doing nothing, taking no action and not benefiting your blog through interaction.. scratch the keywords as a priority! If you have been publishing your own content or compensating people who are not well-rounded writers to author your content, you could be missing out! Quality content requires great writing. Save yourself some trouble, money and time. 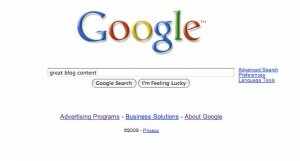 It only takes a handful of articles to reach the top of search engine results. It is all about the quality of your content, not the fact that you have 214 articles about the subject. Great content has specific keywords included within the article. Keyword density is important, however it only takes six or seven mentions of these keywords included in your article: header, minor headers, content and links to make your content successful. The article needs to be grammatically correct and easy to read for your visitors. Short, simple sentences and paragraphs always perform best. Stop wasting your time and effort on articles, especially if you are a terrible writer. If you find yourself spending more time proofreading and editing your content, do yourself a favor and hire a freelance author. With great content, you will definitely see changes within a month, if not more quickly! Great content is competitively priced, though you should find great business-related content and articles priced around five to ten cents per word. Change your outlook on what your content is supposed to do. With a few edits, changes and revisions, your content could be doing its job. But is it doing what you want? Previous ArticleDoes Your Blog Content Have Enough Flair? If poor content than ranking will be hurt.